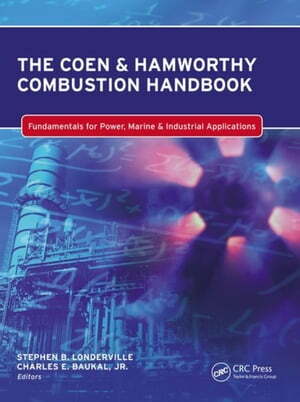 Collins Booksellers - The Coen & Hamworthy Combustion Handbook: Fundamentals for Power, Marine & Industrial Applications by Londerville, Stephen, 9781439873342. Buy this book online. The rigorous treatment of combustion can be so complex that the kinetic variables, fluid turbulence factors, luminosity, and other factors cannot be defined well enough to find realistic solutions. Simplifying the processes, The Coen & Hamworthy Combustion Handbook provides practical guidance to help you make informed choices about fuels, burners, and associated combustion equipment-and to clearly understand the impacts of the many variables. Editors Stephen B. Londerville and Charles E. Baukal, Jr, top combustion experts from John Zink Hamworthy Combustion and the Coen Company, supply a thorough, state-of-the-art overview of boiler burners that covers Coen, Hamworthy, and Todd brand boiler burners.